Tour Includes: Services of your private, licensed Venice tour guide and entrance tickets to Fortuny museum. 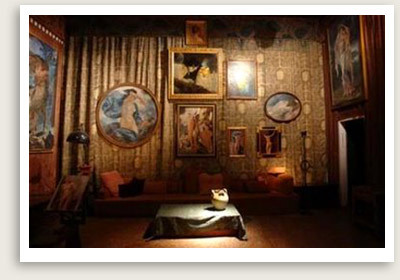 Mariano Fortuny converted this grand Gothic palace into a studio for painting, photography, set design and textile arts. Mariano’s widow donated the building to the city in 1956. In its current incarnation as the Fortuny Museum, the rooms, structures, upholstery and collections have all been retained according to their functions in the former studio. The museum, long closed for renovation, has recently been reopened.